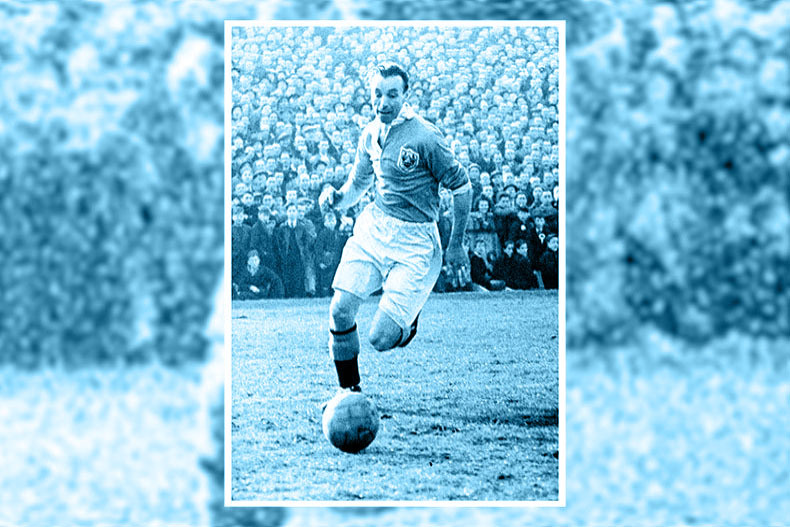 So… what do we know about Stanley Mortensen? 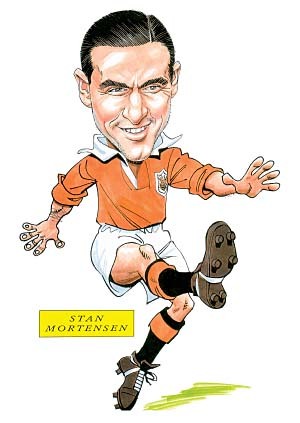 Should have been named ‘The Mortensen Final’ and yeah, this one has potential. As I’ve said before, Mrs. Exford would not even exist if it wasn’t for Stans Matthews and Mortensen, and and as it took me 44 years to find someone brilliant who could put up with me, well my gratitude to the man knows no bounds. Haha, just seen what you’ve done there. If Mortensen had a thread on the Lyrics Project they’d call it the Matthews thread. Can’t decide if you’ve done it deliberately or not now, ‘I do notice that if you google images of Mortensen (parting on his left, straight hairline) you get at least 5% Matthews (wizard with the widow’s peak) . And even one George Farm signed photo. Possibly too subtle for Xmas week. I approve. Errm, yeah … so is the one underneath the other Stan in a sepia snowstorm or something? Does this mean I have to go back and re-examine the background of 4 years or images? Maybe the one underneath is his funeral. After finding photos to illustrate 1,500 entries the mind does start to wander a bit. The picture underneath is the same as the one on top though, just got bored in Photoshop. from a Daily Mirror article about them being caught selling black market coffee and soap in Brussels towards the end of WWII. These twists of fate are strange indeed. As I said to my club-mate Gipton Teenager the other day, if I hadn’t needed a hot toddy after catching a nasty cold in the Atlas mountains, I wouldn’t have talked to the fella at the bar in Leeds who told me about the football club that I needed to join (of which it turns out Gipton Teenager was a founding father) , where 5 years later I met Mrs. Exford…. His funeral was known as ‘The Matthews funeral’; or so I heard. His goal scoring record is amazing . 4 goals on his international debut .Infinitely more handsome than tight wad Matthews. And the fact that the rozzers didn’t raid that particular party. OK, yes, too subtle by half. Spill the beans, Siteowner chap. It’s the picture, @Len: the wrong Stangerine. Sorry @CE, no founding father, more foundling infant.